After the long waiting, finally the dateline met its limit. 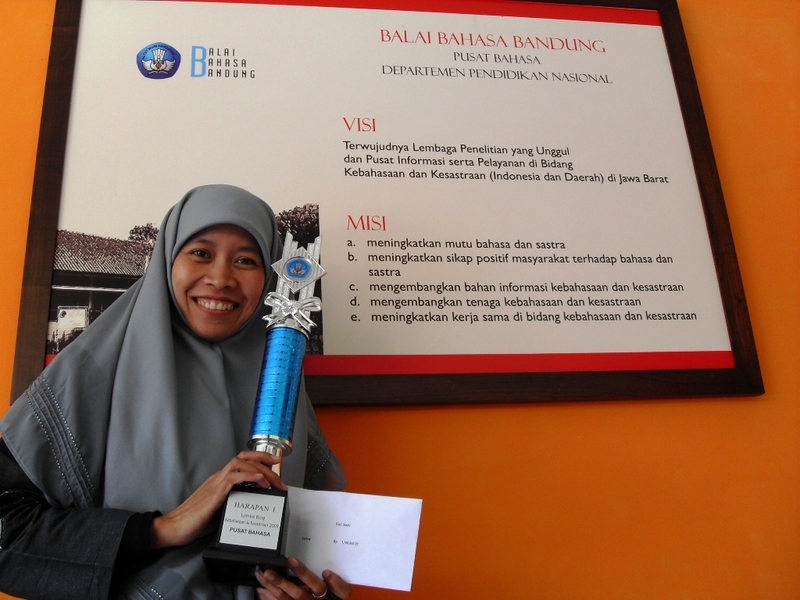 I managed to maintain another blog to take a part on a blog writing competition held by Pusat Bahasa, but organized by balaibahasabandung.web.id. The blog must focus on language or literature, and it has to be written in Indonesian. I named the blog bahasamania.blogspot.com. I keep maintain and updated the postings quite regulary, and there are more than 10o postings in it. I wrote some of them, noted/copied from other source, included quote of the day. At the end of October, the announcement came up. My blog announced as the promising 1 winner from 383 participants. Alhamdulilah. From 6 of the winner, I am the only woman. Does it represents of the amount of blogger women in the cyber world? Maybe not. It might be just a number, anyway. This entry was posted in Achievement and tagged Achievement, blog, competition, prize, writing. Bookmark the permalink.